Red symbolises love and yellow symbolises the joy of friendship. It means “I love and care about you”. The bouquet is made up of twelve rosebuds wrapped in an attractive bouquet sleeve. 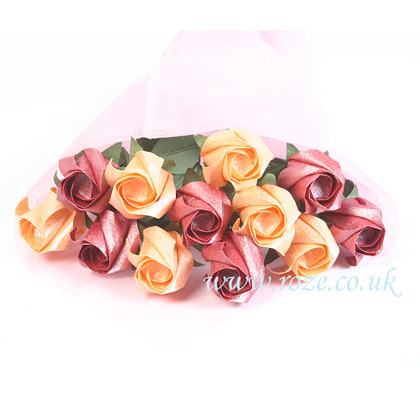 To add six more roses to your bouquet to make it 18 roses, please select "Yes" in the option box below for "Six more roses"
Height of each rose including the stem: 39 cm (16 inch). Height of each rosebud: 4 cm (1.6 inch). Delivery address rest of the world (Excluding Europe) - £5.55 per item.